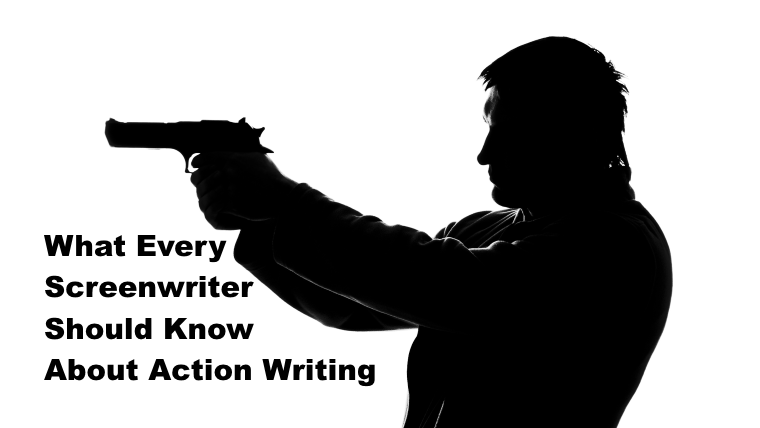 Action sequences can be a screenwriter's best friend or worst enemy. If you can write them well, you'll be more of a coveted commodity in the eyes of the powers that be. Such a gift will make your spec scripts shine brighter than the rest, thanks to an entertaining and engaging read, and will increase your chances of being considered for key studio writing assignments. If you can't, well, it's time to start honing that skillset. "But what about character and story? Isn't that the most important skillset to have?" It's a device in screenplays in multiple genres that allows for kinetic, thrilling, and entertaining ways to move the story forward and reveal character depth. At least when written well. We certainly don't want to look at a movie like Commando and say that the action is a tool to develop the story and character depth. That type of action has its entertainment value, but it's not as engaging as the action found in films like Die Hard where the lead character gets hurt, shows the pain, shows the emotion, and showcases the element of danger and life threatening situations. We learn more about characters through their overall actions and reactions, thus, action sequences are central to taking a character forward. In conjunction with that, the whole reason an action sequence should exist in a film is to use them as a bridge to move the story forward to the next point. So with those two elements together, action sequences are clearly augmented ways to tell a story and to add to a character's depth. The torture sequence in the original Lethal Weapon is a brilliant example of action that moves the story forward and reveals character as well. The sequence showcases what Riggs is capable of. It showcases Murtaugh's love for his daughter and the horror he feels as these villains torment her. And it takes the story forward as well. Even the less character revealing iconic action sequences that stand out can be crafted better, replacing character depth with creative, engaging, and suspenseful obstacles for the hero to overcome. The Mission Impossible and Indiana Jones franchises shine in that respect. Rather than just put dozens of bad guys on the screen to be endless bullet catchers, as evident in the Commando clip (we do love you Arnold), those franchises create a roller coaster ride of obstacles, objectives, and conflict. Perhaps the best example is the iconic chase sequence in Raiders of the Lost Ark. The objective is getting the Ark. The obstacles are getting onto the truck and then into the truck. The conflict is the Nazi soldier army standing in Indy's way of overcoming those obstacles. If you take the Nazi soldiers away and just have a driver that Indy must defeat, how engaging is that? If you take away the other Nazi vehicles that Indy has to maneuver past, how engaging is that? The best action sequences are those that throw as many obstacles and conflict in between the hero and that objective as possible. Anyone can write a blow by blow, gunshot by gunshot, and explosion by explosion breakdown. It gets boring. You'll lose a reader quickly with a detailed list of those elements. Action writing is about displaying the broad strokes for the reader. The important elements that shift the fight or chase sequences into the next gear. Forget about the little exchanges of fists, feet, or bullets. It's all about the major punch, kick, and gunshot that move the sequence forward. If you watch a fight sequence like the iconic Bruce Lee versus Chuck Norris battle in Way of the Dragon, you'll notice the major shifts in the fight. Violent and skilled kicks are exchanged until COLT (CHUCK NORRIS) CONNECTS HARD WITH A KICK TO TANG LUNG'S FACE, sending him flying to the ground. That's the first key moment to the fight. The hero is taken down, surprised. This is a major shift in the fight, thus it is the broad stroke that needs to be featured. Then he takes more of a beating and goes down. Colt shakes his finger, which is another key moment that shifts the fight sequence because Tang Lung now changes his style. So the important thing to remember when writing any action sequences is to focus on those big moments that shift the momentum. Test yourself by finding those elements and writing them down while watching action sequences like this epic The Matrix sequence. Possible answers: The metal detector moment, the security guard calling for backup, the arrival of Trinity, the arrival of the S.W.A.T. team, Trinity running on the wall, Neo making his move, Trinity covering him by taking out the shotgun, Neo cartwheeling for the machine gun and then cartwheeling while firing, and finally ending with Neo's flying double kick. Every gun shot in between is an element that you generalize or is implied briefly within the scene description. This exercise will help you determine those broad strokes to focus on in your own writing. Many screenwriters try to elevate their action writing by using technical terms for hits and weapons. We don't need to know the technical name for every kick. Most people don't always know what the difference is between an axe kick and an outward downward kick anyway (they are the same). They don't need to know a jab from a ridge hand. Those elements will be determined by the fight coordinator. Nor do they need to know the names of the various submachine guns like Agram 2000, Benelly CB-M2, HK-MP5, etc.? Who cares? In the end, it's not even up to the screenwriter to determine what weapon will be used in the production. Those elements will be determined by the prop master and technical advisers. If anything, you've simply slammed the breaks on the read because the reader has no clue what those models look like when you could have simply said machine gun, assault rifle, shotgun, revolver, etc. An action sequence with the hero simply dominating from beginning to end isn't as engaging as one where the momentum constantly shifts in favor of and against them. That's what keeps an audience (and a reader) on the edge of their seats. The opening sequence in Raiders of the Lost Ark is a perfect example (and also works in the context of Objectives, Obstacles, and Conflict as well). We watch as Indy first figures out the various booby traps and circumvents them to get the prized idol. But just when we think he's prevailed, we see that he has failed. The momentum has drastically changed. Now he must fail every booby trap he previously prevailed over. He then makes the leap over the seemingly bottomless pit, but then slides to the edge. He then grabs the vine and smiles, thinking he's survived, but then the vine slips. He then pulls himself up and is headed out, only to suddenly find himself running from a giant boulder. Action sequences aren't about the hero dominating and showing their skill. The best ones show them failing, prevailing, failing, and prevailing. That's entertainment. It's a common misconception that the action genre is void of story and character. As you can see, nothing could be further from the truth. Action sequences are an important element to the cinematic experience. Without story and character, they are often meaningless, forgetful, and nothing more than mayhem for sake of mayhem. But when you inject those story and character elements into those action sequences, you create memorable moments in your scripts and eventual movies. They are meaningful -- or at least they should be. They have a beginning, middle, and end, no different than any story or character arc found within a movie. They have dramatic stakes and can be found and utilized in any genre. And finally, they aren't just about punches, kicks, bullets, and explosions. Master the art of action writing and you'll find that your scripts and hopeful screenwriting career will benefit greatly. 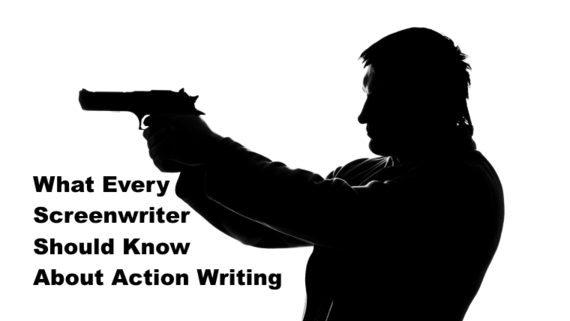 As an added bonus, check out successful Hollywood screenwriter John August‘s excellent breakdown of how to write better action sequences. And if you have an action script of your own, apply these principles and get it ready for the next ScreenCraft Action & Thriller Contest or ScreenCraft Screenwriting Fellowship!